The Gloomy Wood Trolls. Real inventive name. Well, this episode was certainly…interesting. I liked it far better than the season premiere, but it still has loads of problems. 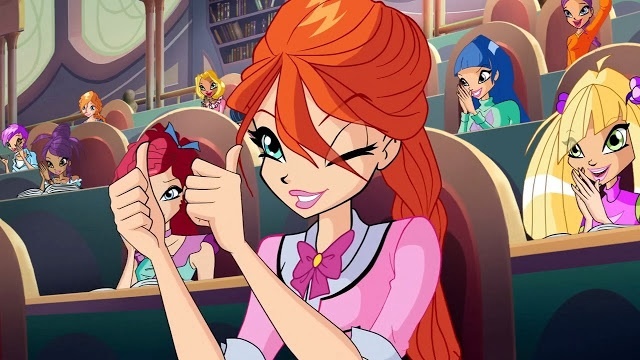 The Winx return to Alfea with Daphne as the new History of Magic teacher. The girls discover from the newly returned pixies that it is Miss Faragonda’s 100th year of teaching and use this as an excuse to throw an impromptu party. 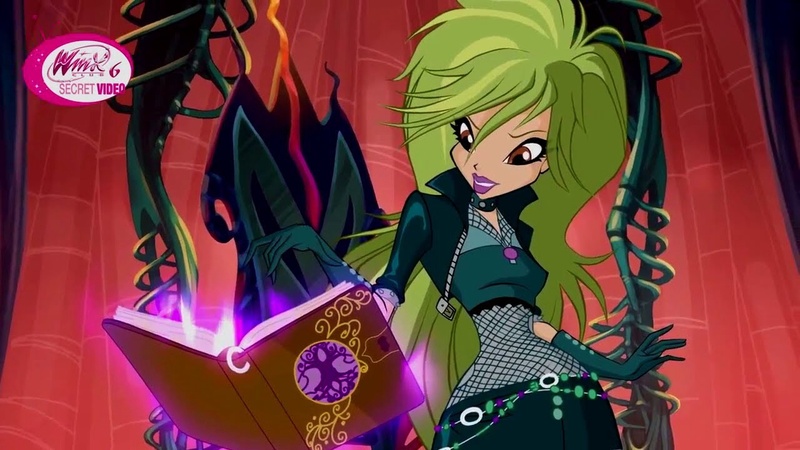 At Cloud Tower, we are inroduced to Selina, a new witch from Earth, who demonstrates her powers to Griffin: the ability to use a book called the Legendarium to bring mythical monsters to life. Using the book, she causes havoc and destruction in Pixie Village by awakening the Gloomy Wood Trolls. The Winx try to defend Pixie Village but realise they don’t stand a chance because there are too many of them. Griffin tells Selina to stop, which she does, not before the Trolls take every other pixie minus the Winx’s bonded ones. At that moment, the Trix decide to take over Cloud Tower, turning Griffin into a crow/raven, gaining the support of the students and separating Cloud Tower from the ground, making it float. They single out Selina and get her to join them defeat the Winx. If I saw the Legendarium in my local Asda, I would give a fan girl squeal. Because it’s so pretty. Animation is good, sound is great. Selina is easily one of the best voiced characters yet. I thought only Darcy could sound deep and dark, but apparently I was wrong! She also had the best lines in the episode, another thing I thought only Darcy could have: ‘I’m surprised she doesn’t do a swan dive right into his face” lol! Speaking of Darcy, I’m glad the girls are finally back to their old form, though I’m confused as to how they got rid of Dark Sirenix. But not only are they human again, they’ve also taken on new outfits themselves, made and manufactured with their own dark magic. I loved the raven imagery as they transformed. It really made them feel and look evil. I’m also impressed with their powers as well. It’s been a while since we saw how powerful the Trix really are. Selina, one of the few reasons I actually enjoyed this episode. Now, we’re on to the bad things. This episode wasn’t void of cheesy dialogue, the major culprits being Musa and Stella. Everyone else had reasonable lines. Speaking of Musa, I’m really getting tired of the writers giving her lines off screen. At least they’ve given Tecna some attention. I also hate the new school outfits that Stella designed for them. Well, maybe not hate, but annoyance. I thought that they would wear the clothes they wore in the opening-which were way better. I was especially disappointed in Aisha’s and Musa’s, it didn’t fit their personality very well. Bloom’s plait and fringe look really disjointed on her big head. In my eyes anyway. The pixies. This was probably the most annoying part in the entire episode. Not because Digit and Tune were gone and had new replacements, but because of the fact that though the entire pixie village was ramsacked and the pixies locked away in Selina’s storybook, the Winx just decided to shrug it away under the excuse that the pixies were in hiding! What?! I mean, Bloom had made it very clear that they were no longer in this dimension. Seriously, which writers are Ignio Straffi hiring?! They clearly signed themselves up for trouble the moment they wrote this into the script. Why? The pixies didn’t need to get captured. What was the point?! I can tell you with great confidence that, apart from a brief mention in episode 3, the pixies and their plight are never mentioned again in the frickin show. 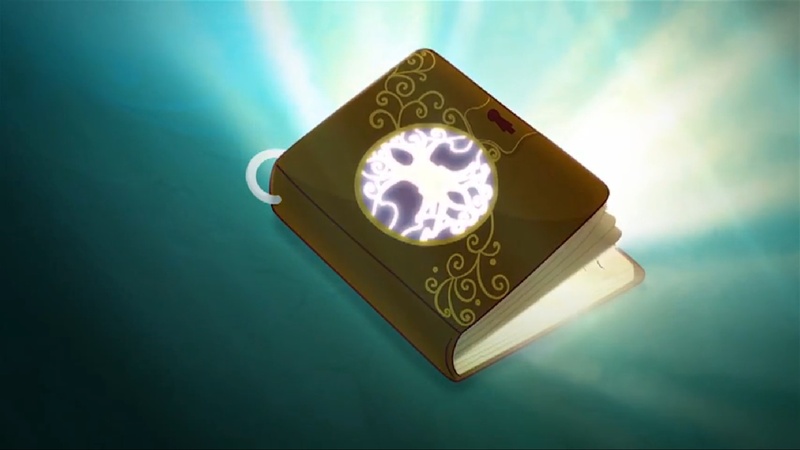 If the girls decided to search for the missing pixies, it would lead them to the Legendarium much earlier than expected. 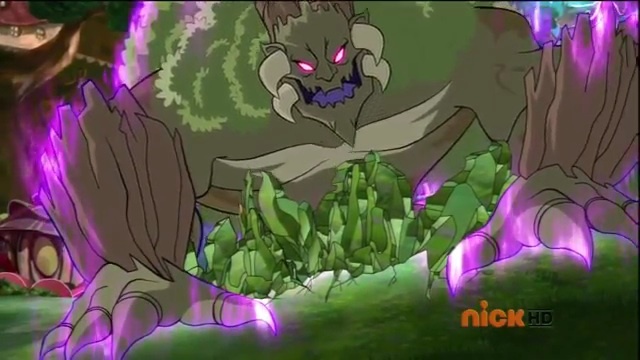 Though that really couldn’t have been a problem as the entire Legendarium is unearthed in episode 7 anyway. The scene was poorly written and executed and is probably the most blatant example of ‘plot convenience’. Ugh. I think the only reason I liked this episode far more than its predecessor was because it chose to focus more on the witches this time than the fairies. Apart from that, everything else about the episode was mediocre at best.